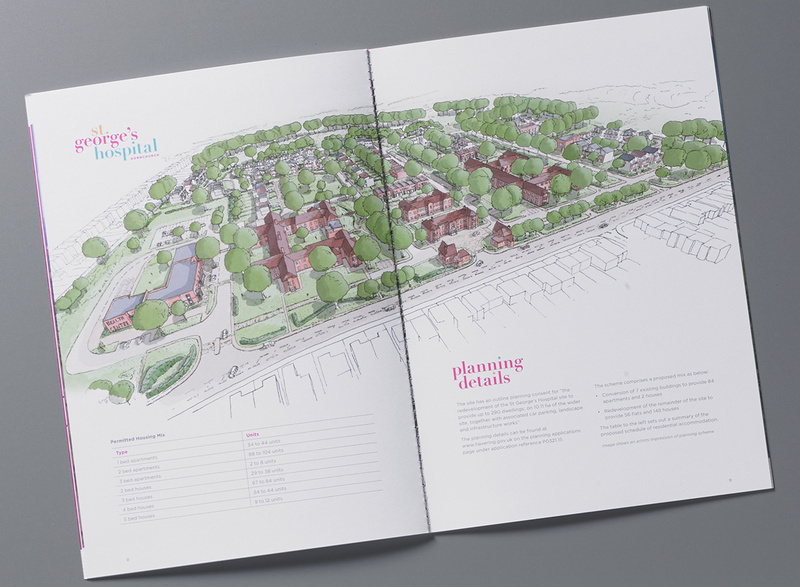 GQ recently completed our first job for NHS Property Services, marketing an exciting redevelopment opportunity at St. George’s Hospital in Hornchurch. 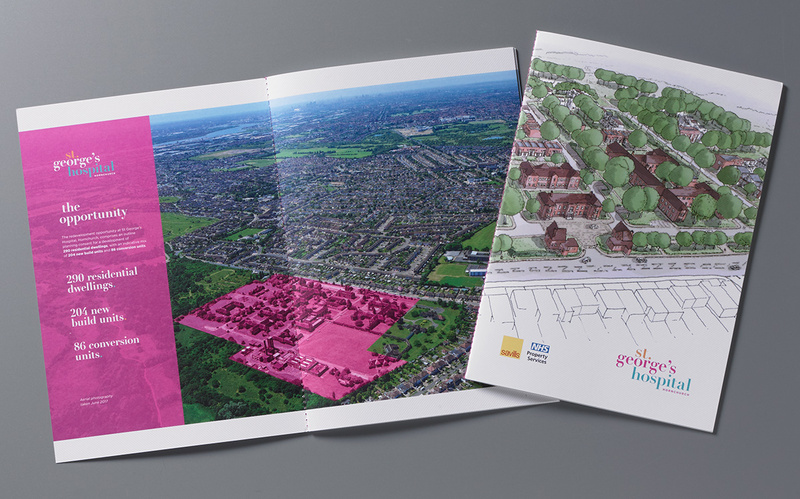 Offering 29 acres identified as a “Major Development Site” within an area of green belt land, the site has planning consent for 290 new homes – both new build and conversions of the former 1930s hospital. A stylish font and fresh colour palette was chosen to form a standout brand with a contemporary feel. 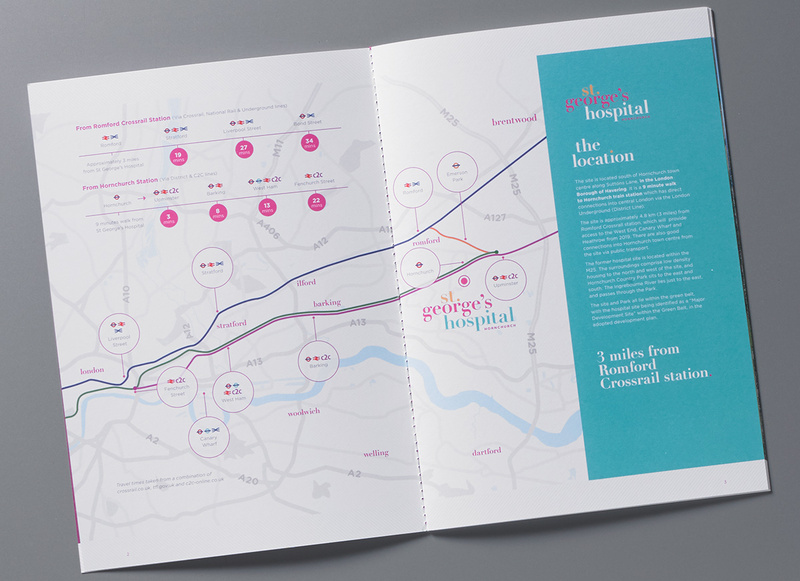 The brochure is equally clean and crisp, with a premium uncoated stock and vibrant thread to complement the brand. Specially commissioned aerial photography highlights the extent and potential of the site, with illustrative artist’s impressions to communicate its development potential.